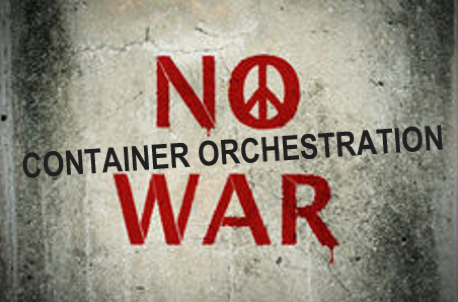 Bitnami Blog: Bitnami User Survey Part 3: Containers Orchestration War or Peace? Bitnami User Survey Part 3: Containers Orchestration War or Peace? We’ve all seen the many articles and blogs about container orchestration wars. Is that a vendor war? a user war? or not a war at all? I’m always interested in a good fight but I’m not sure there is one here. Our data seems to show there might not be a skirmish or even a scuffle, in fact it looks more like a peace treaty with the happy coexistence of multiple container orchestration services and solutions. There are several logical explanation for this: 1. they are being used to manage workloads in different clouds 2. users are evaluating multiple solutions side-by-side to determine which will best fit their need 3. they're using different solutions to solve different use-cases. 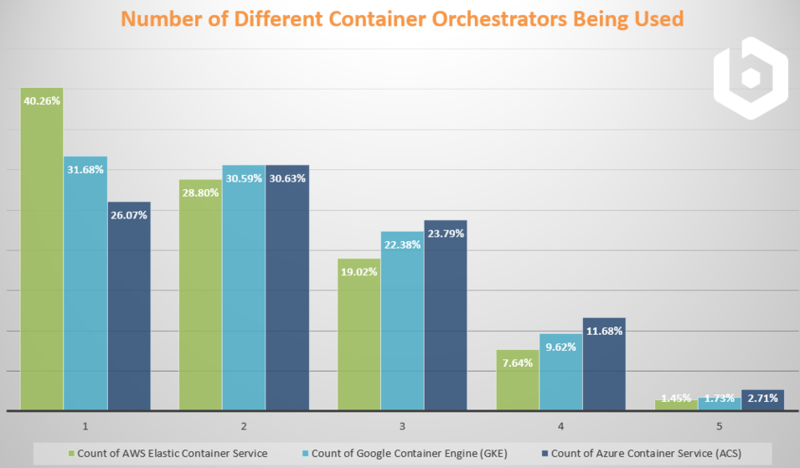 To understand this better, we broke down the data even further to look at the number of orchestration solutions reportedly being used within each of the container services from the big public cloud providers. 1. Amazon ECS uses are the most likely to have standardized on a single orchestrator. Another interesting way to look at these results is by evaluating how orchestration solution adoption is distributed from single solution to multi-solution environments. Of course, the single solution leader will be some indication of a selection of a preferred platform but more interesting should be the distribution among users claiming multiple platforms. 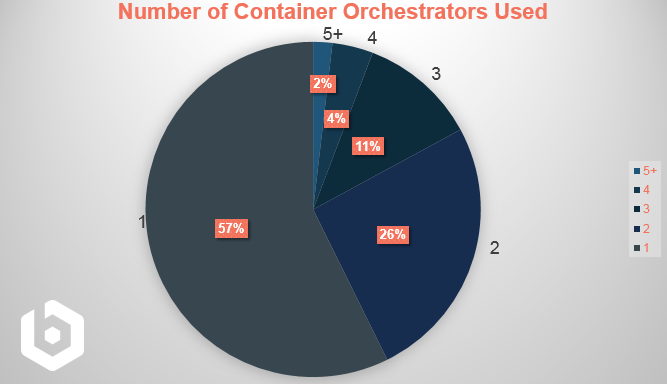 We know that from pure number of users that Kubernetes is the leading container orchestration tool (See Container Trends - Bitnami User Survey Part 2). What is interesting is that it is not the most widely chosen solution among those only using one, that position belongs to Docker Swarm. 2. People who are using Kubernetes are also using Swarm and AWS ECS, perhaps to cover different use-cases inside their organizations. 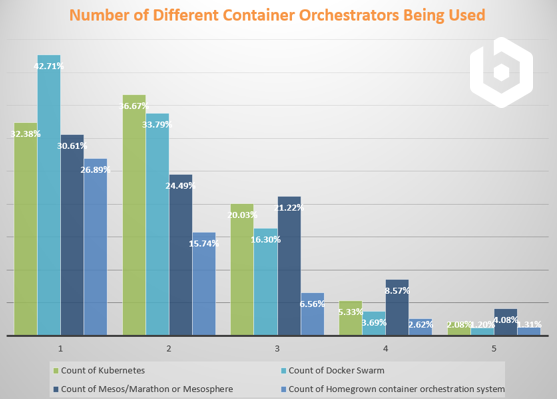 While not explicitly covered in the survey we can connect anecdotal data from customer conversations that suggests that Docker-compose/Swarm is more commonly used for development whereas Kubernetes or ECS is used more frequently in production. If you are making a decision on where to invest as you build out a container strategy or you’re looking for tools that can help you manage your Kubernetes environment, you’ve come to the right place. Bitnami can get you started on your journey with pre-packaged container images from our vast catalog of ready-to-run applications and we’re actively developing a contributing to a number of leading edge Kubernetes projects. Stay tuned for more from our 2017 Bitnami user survey.